In September and October of 2009, I spent a delightful month travelling in Italy. 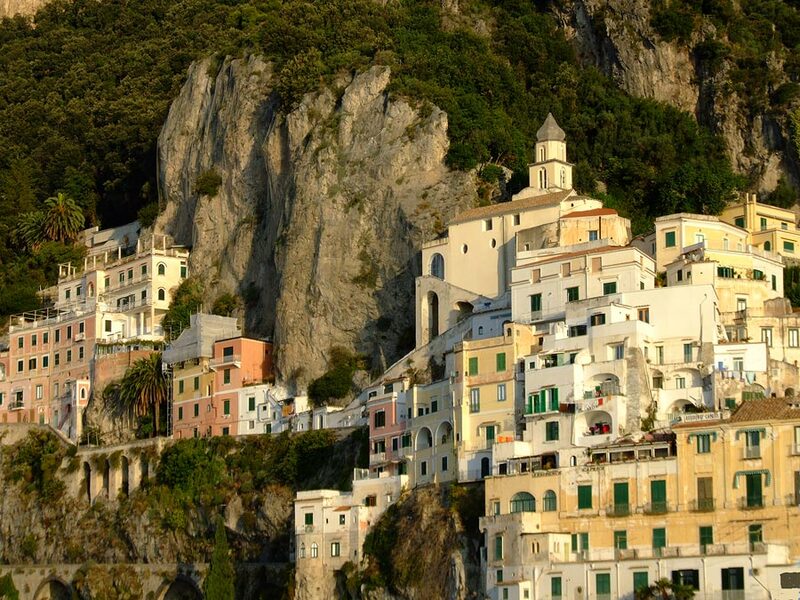 Some of the cliff-hugging houses of Amalfi. This is a view from the top of the Castel Sant'Angelo. 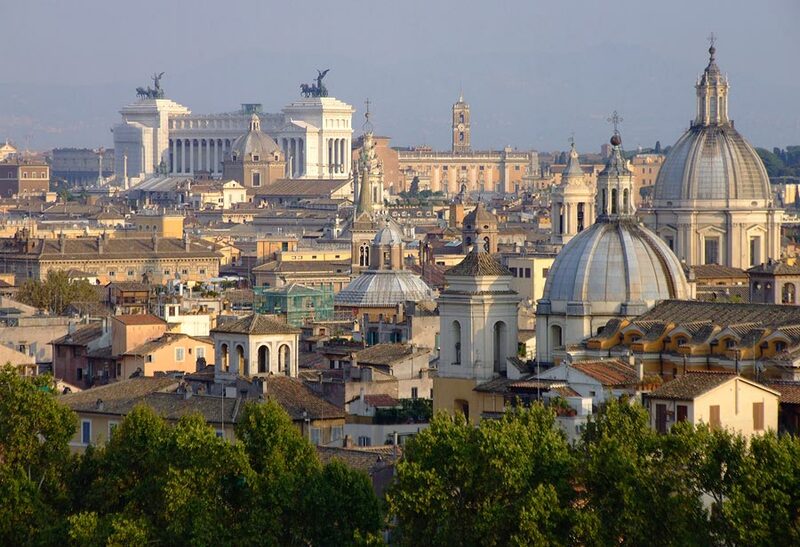 It is well worth exploring this imposing building, which was originally the Mausoleum of the Roman Emperor Hadrian. It is now a Museum. 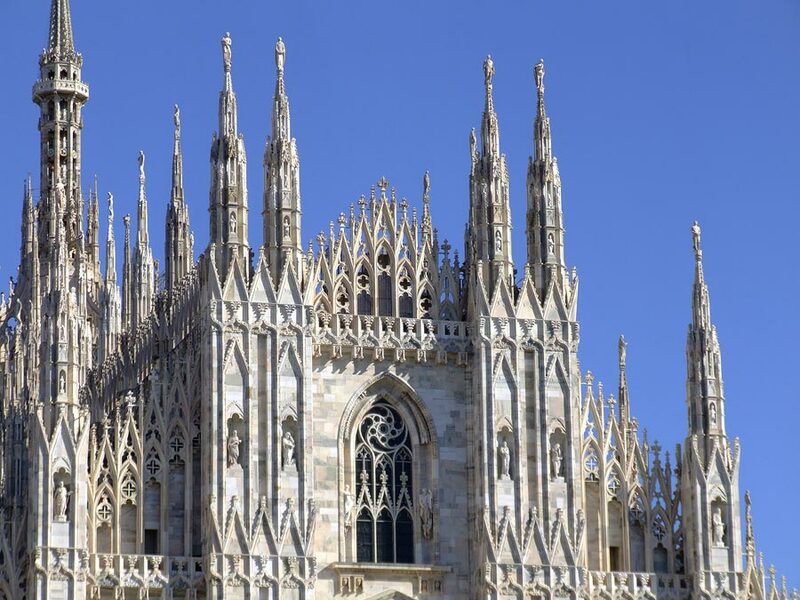 The intricate lace-work spires of Milan Cathedral always delight me. 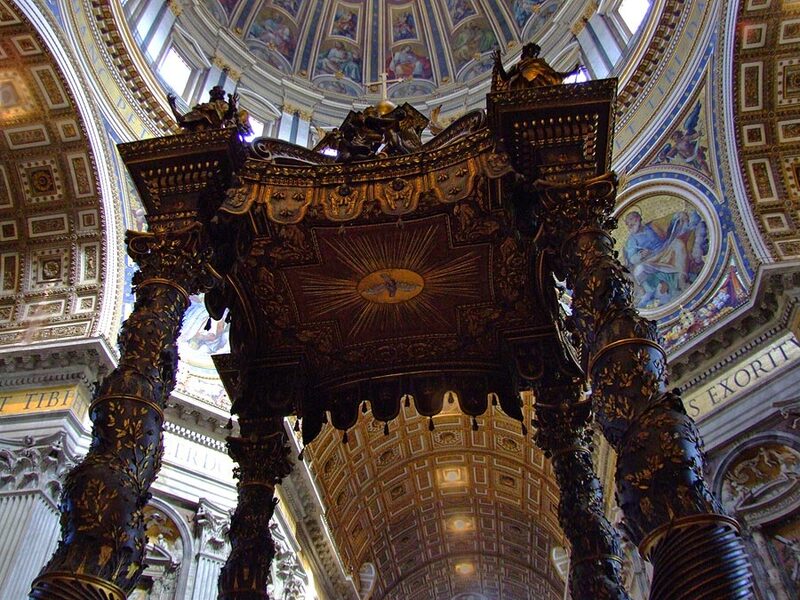 The interior of St Peters in Rome. For those thinking of travelling to Italy on a tight budget (as is the case for most retired artists), it is worth considering staying at one of the many Convents which offer rooms. I stayed in Rome at a wonderful Convent which was only 50 metres away from the entrance to the Vatican Museums. The only problem is that the Nuns in charge do not speak English, but, fortunately, my Italian-speaking sister-in-law, Julie, phoned them on my behalf and arranged my stay. 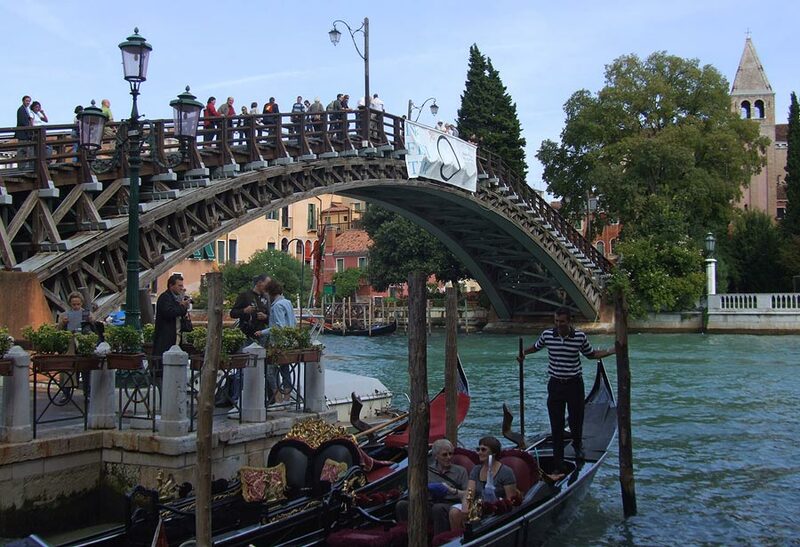 The Accademia Bridge in Venice. On the other side of this canal, you can visit one of the great art museums of Europe... the Accademia. My favourites there are the Carpaccios and the Giovanni Bellinis. 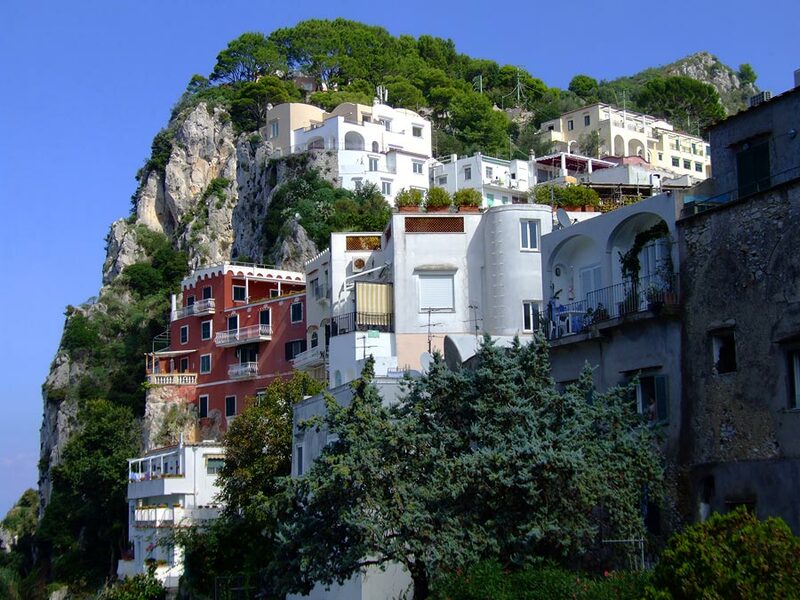 Just one of the fabulous views of Positano. 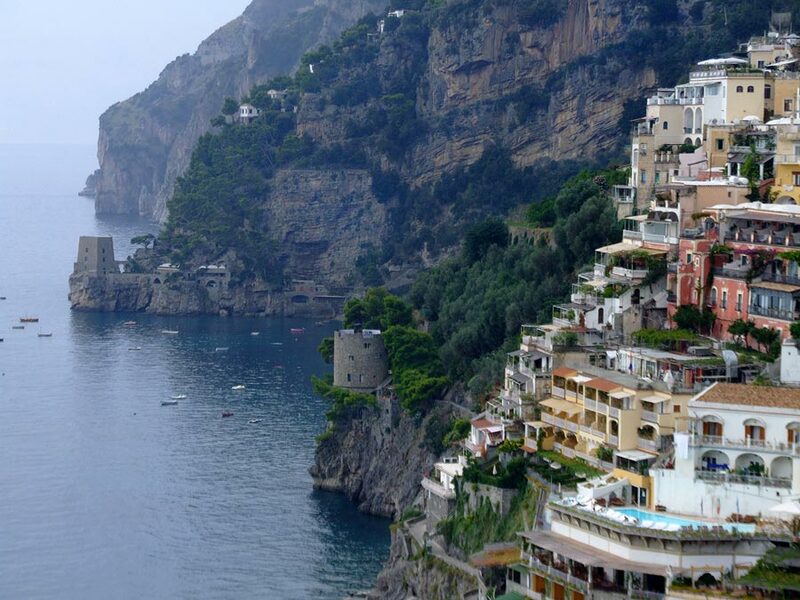 The narrow, twisting, cliff-hugging road from Positano to Amalfi must surely be one of the most spectacular marine drives in the world. I spent a few hours walking along it, taking photos with care... and taking even greater care not to be squashed by the buses and cars which hurtled in typical Italian fashion around the blind bends. With horns blaring, of course. On this trip, I must have walked about 7 or 8 hours each day. Happily, I lost over 5 kilos and am trimmer and slimmer than I have been for ages! Ah, the joys of budget travelling. Surely it must have been an artist who invented the phrase "doing it on the smell of an oil rag". 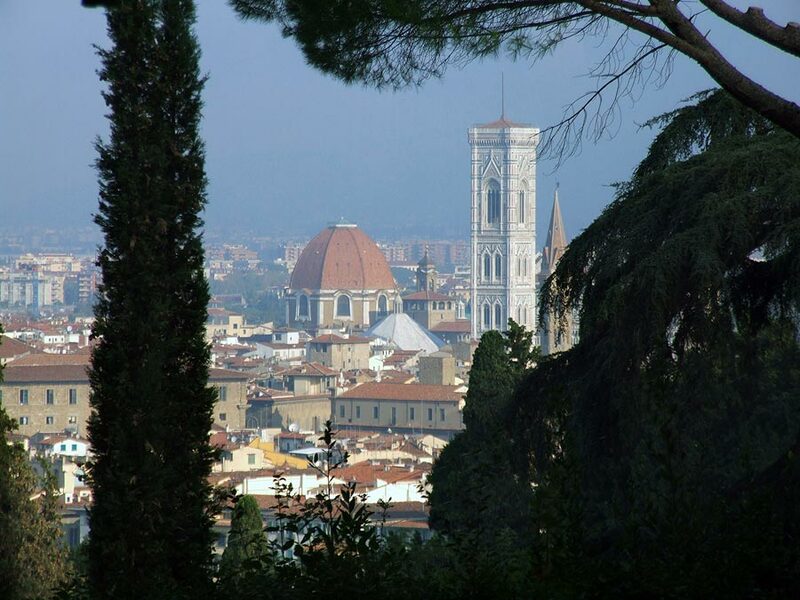 This was taken not far from the delightful church of San Miniato. I will have photos of this building in my next round of Italian travel pictures. 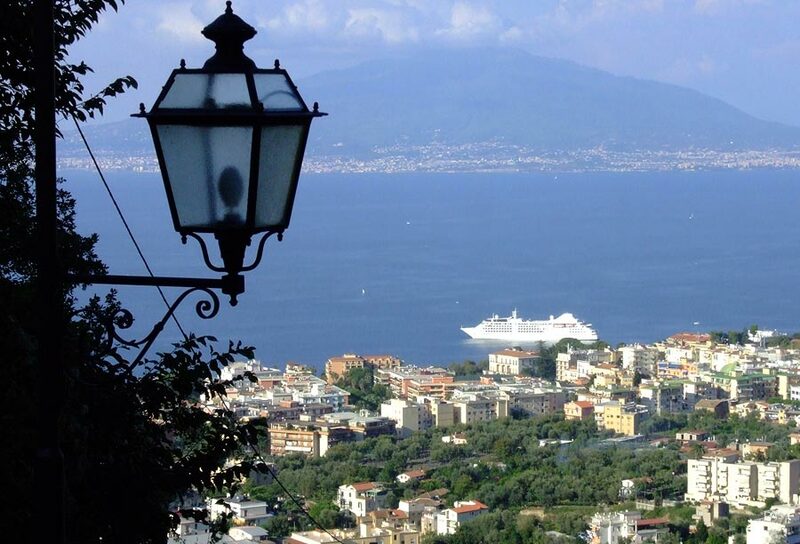 A view of Sorrento with Vesuvius in the distance. I had taken a bus to St Agate and, after exploring that little town, I met a couple of English tourists who told me about the many walking paths from the high plateau all the way to Sorrento on the coast. This photo was taken about halfway down the slope. And, finally, Siena. It is always a pleasure to stroll through this old hill city. 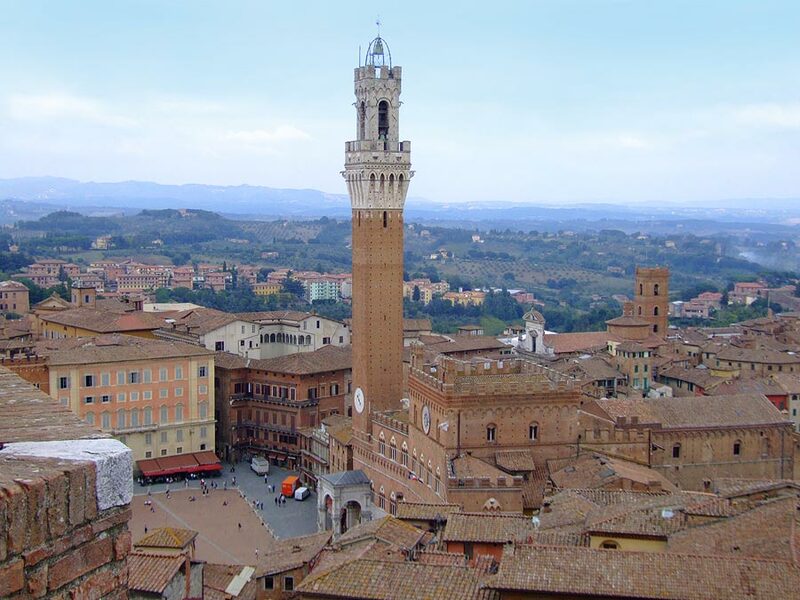 I visited Siena on a day trip by train from Florence. Over the years, I have visited Italy a number of times and I remember with nostalgia the days when Eurail passes were worth buying. With regret I have to say that Eurail passes are no longer of much value to the budget traveller. This is especially the case in Italy where the regular trains are remarkably efficient and relatively inexpensive. Since the distances between the major cities are not too long, there is little point in using the fast Eurostar trains. Whatever your mode of transport, you will love Italy!